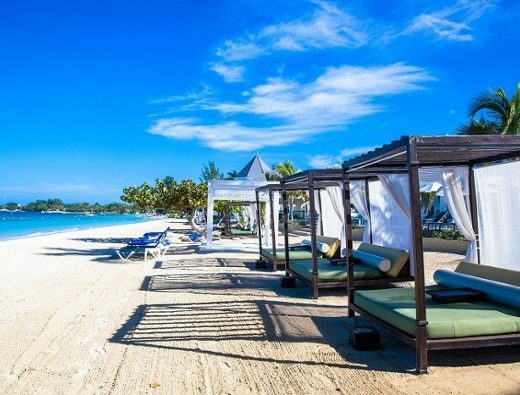 Embrace a peaceful adults-only experience at Blue Diamond Luxury Boutique Hotel. The boutique hotel’s tranquil suites boast spacious balconies and floor-to-ceiling windows overlooking lush landscapes. Savor a cocktail at the rooftop bar or explore a mystical cenote with the love of your life. Return to your 5-star accommodations at the Palafitos Deluxe Junior Suite after a day full of fun. 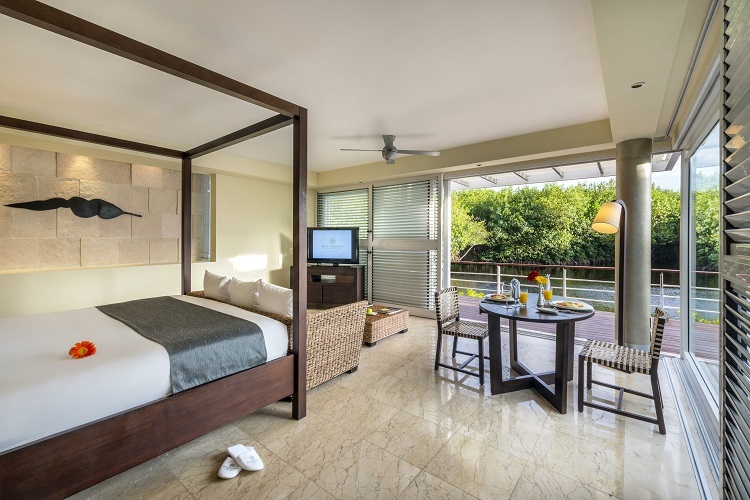 This gorgeous room is suspended over the lagoon, and gives you plenty of opportunity to soak in Riviera Maya’s lush nature. 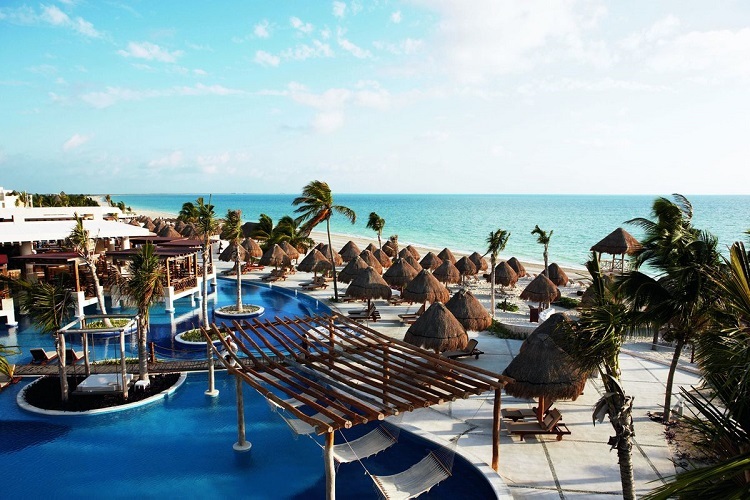 AAA Five Diamond recipient Secrets Maroma Beach is one of the most luxurious places for honeymoons in Mexico. 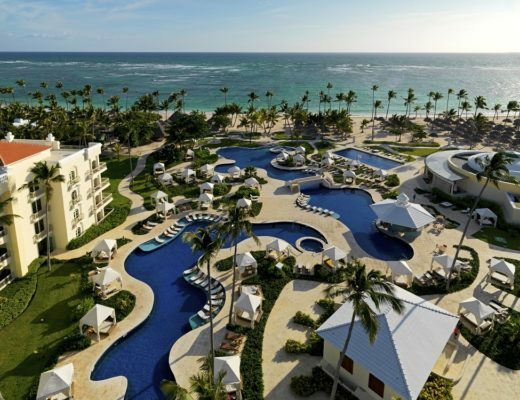 The chic resort is home to an infinity pool, a world-class spa, and endless excursion choices. 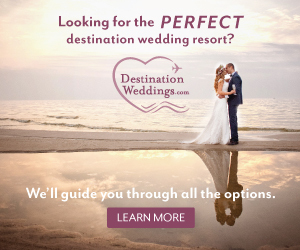 From dance lessons to cocktail classes, romantic opportunities abound! For the ultimate in honeymoon accommodations, choose the Junior Suite Swim-Out room. 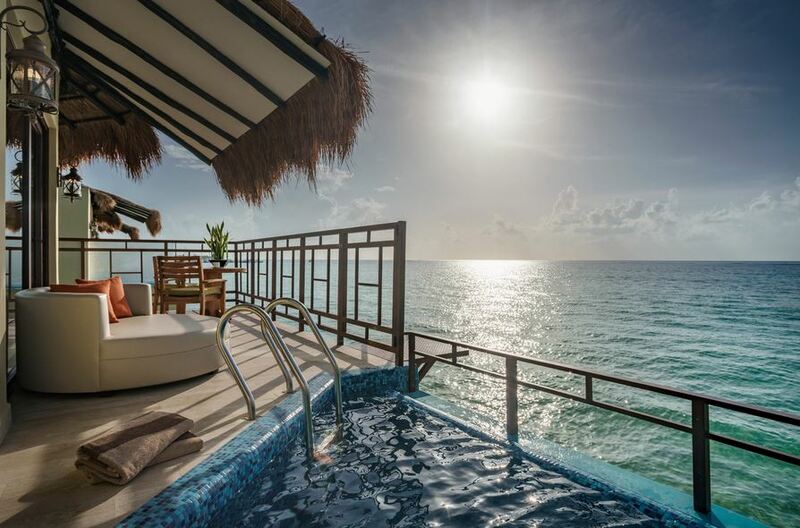 You’ll have your own space to soak in the sun, a luxurious Jacuzzi for two and ample tropical views. Intimate accommodations await at El Dorado Maroma, where you and your spouse can relax together in a romantic overwater bungalow. Let your worries melt away as you enjoy spa treatment under a beach palapa or hit up Rick’s Bar for a lively night out. If you’re looking for the ultimate in romance, book a sunrise couples massage. While you’re in peak relaxation, watch the gorgeous pink hues over the horizon, and welcome the day in the best way imaginable. 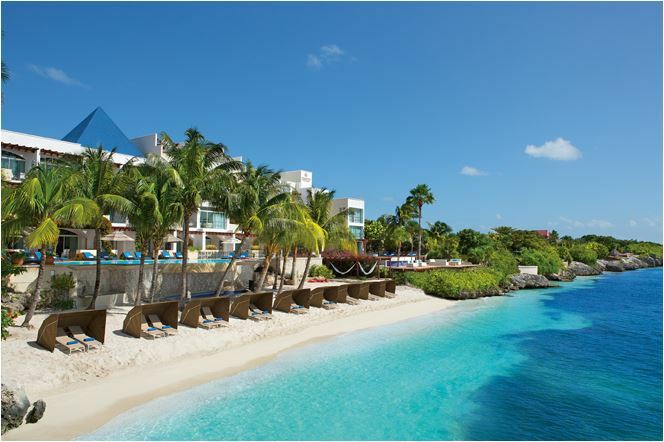 Gaze at turquoise water as you and your partner stroll hand-in-hand along the expansive beach at Ocean Maya Royale. Take a culinary adventure together at one of the resort’s several themed restaurants. You’ll adore the relaxed, yet exclusive atmosphere at this adults-only oasis. Turn up the romance and stay in the romance suite room. Here, you’ll gaze out onto the garden view and enjoy perks like late check-out, 10% off all spa treatments, a pillow menu and much more. 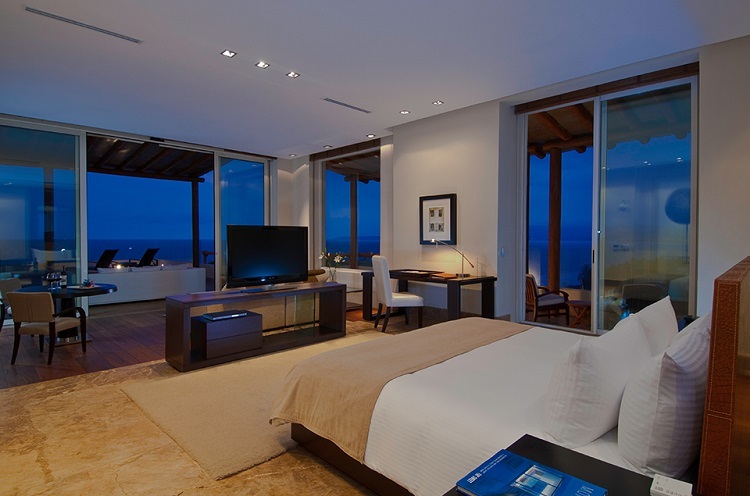 Grand Velas Riviera Nayarit takes the all-inclusive concept to a new level. You’ll discover the true meaning of paradise as you relax in your contemporary chic suite. Book a couples massage in the award-winning spa, where the two of you will connect on a spiritual level. Looking for a once-in-a-lifetime experience? Stay in the Wellness Suite and bask in your new penthouse! 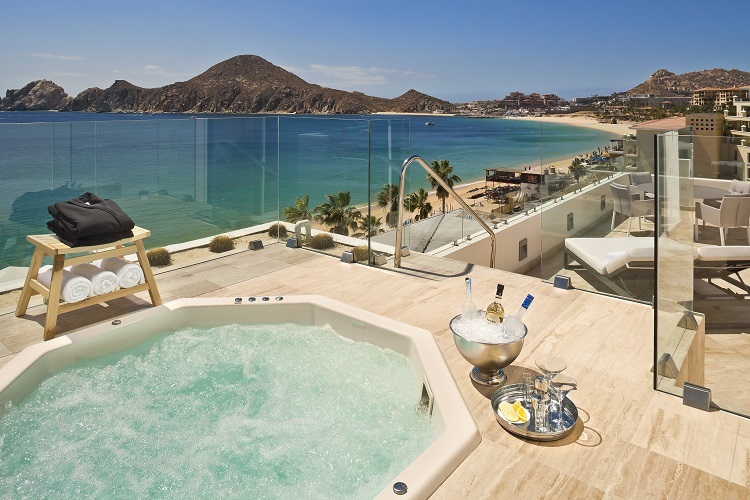 This two-story suite is perfect for any fit couple, with an in-suite 50-minute massage per person, a personal consultation with the Chef to design your personal menu, spa amenities every night, 24-hour suite service, and views of Banderas Bay from your balcony Jacuzzi! It’s all about opulence at Le Blanc Spa Resort Los Cabos, where you’ll observe elegance in every detail. For a truly unforgettable experience, book the Royale Deluxe Honeymoon Suite, where you’ll receive complimentary bottles of tequila and red wine — and pampering from a personal butler. The luxury doesn’t stop there! 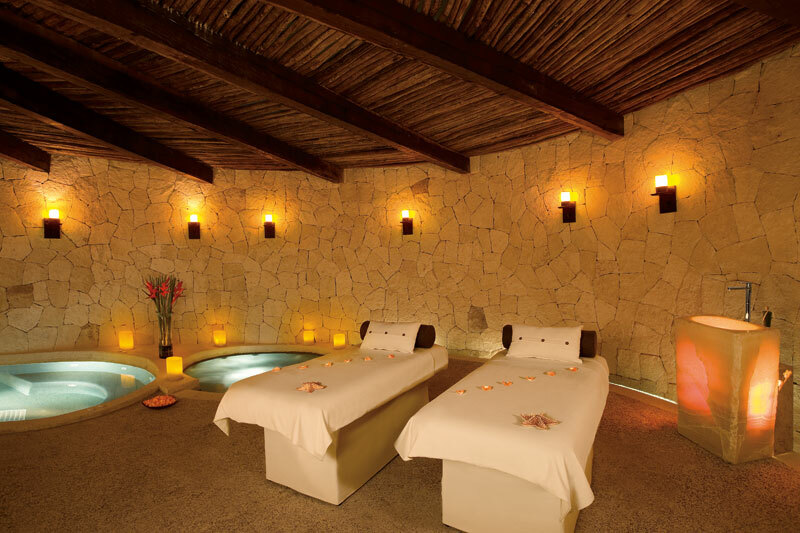 Quiet your mind at the Blanc Spa and discover a different level of honeymoon bliss. 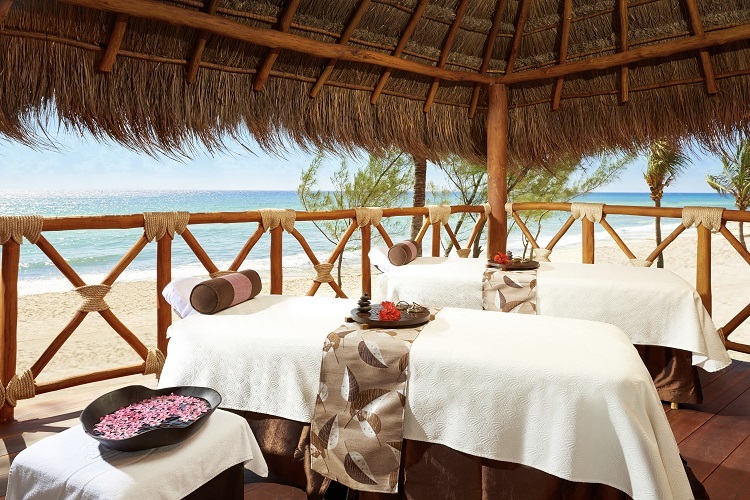 Choose any 80-minute couples’ massage, body wrap, and facial to completely unwind in paradise. 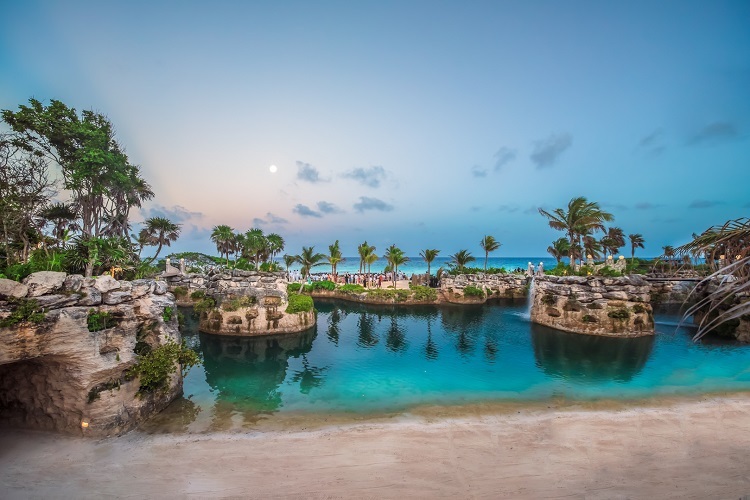 Adventure awaits at Hotel XCaret. 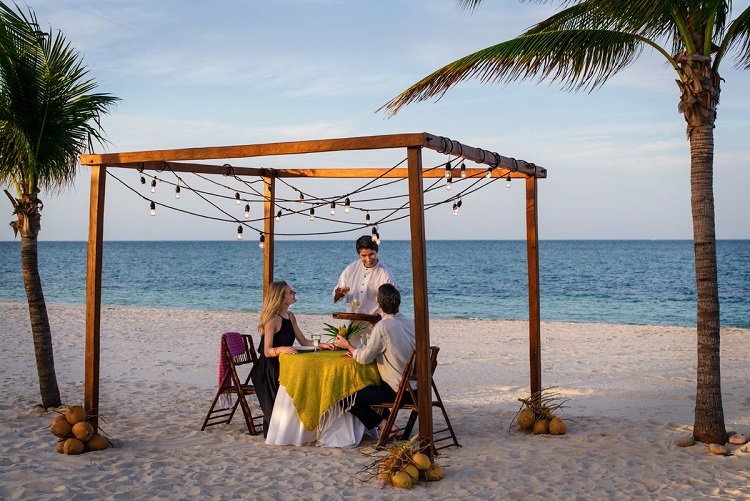 This Riviera Maya jungle oasis encourages you and your sweetheart to connect with nature as you embrace local traditions. 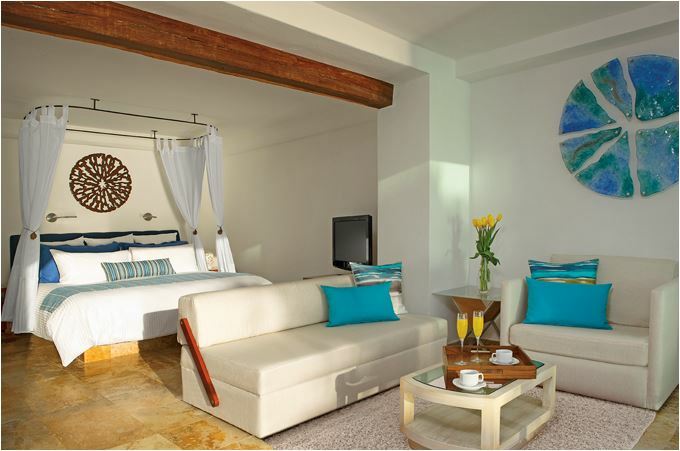 Dance the night away at Xoximilco before retreating to your spacious suite. Choose one of the swim-up suites to fully experience luxury. Your view will either be the lush on-site garden or a breathtaking ocean view, and you’ll start your day with a refreshing dip in your own oasis. 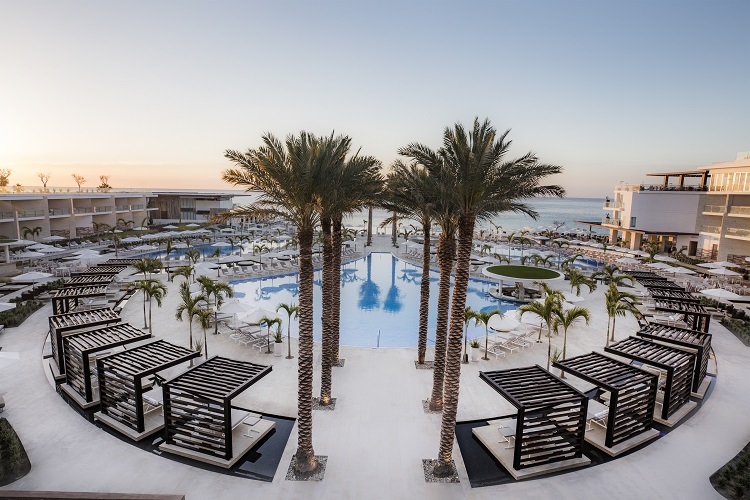 An adults-only luxury resort, Excellence Playa Mujeres delivers serenity in the most stunning setting imaginable. 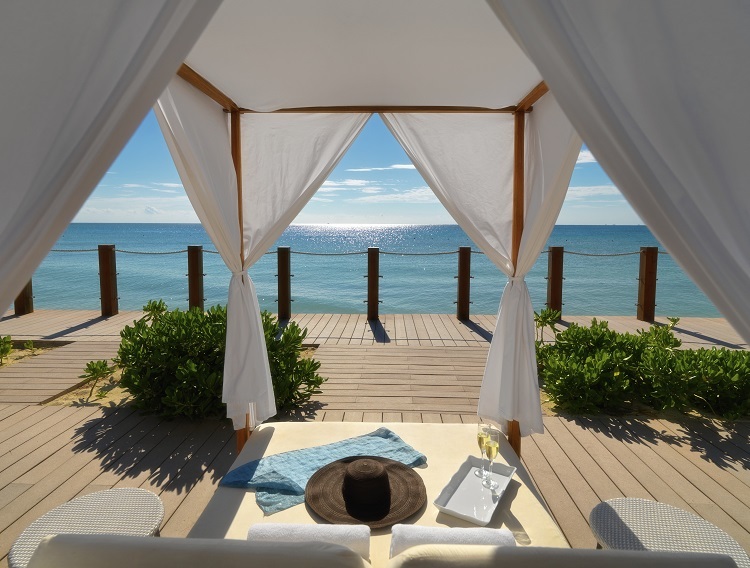 While the resort is inherently romantic, you can kick the experience up a notch with a personalized honeymoon package featuring rose petals and a champagne breakfast in bed. Seeking a little adventure? Take an excursion to Chichen Itza and discover why this gorgeous Mayan pyramid earned a place in the Seven Wonders of the World. Whatever you do, book a private sunset dinner cruise and toast to new beginnings! 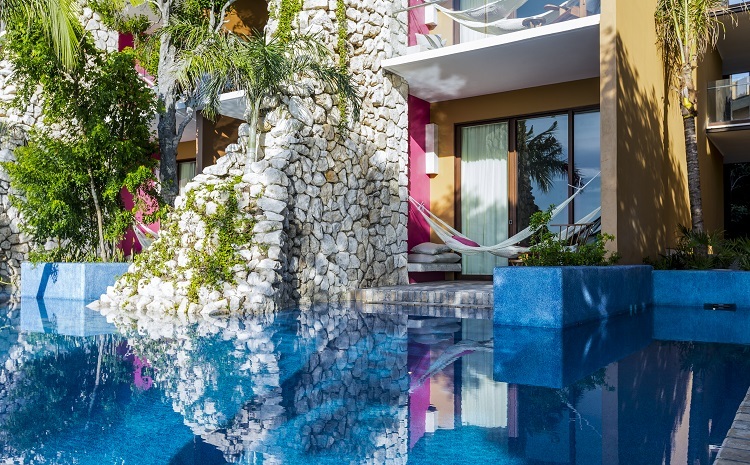 Situated on the idyllic Isla Mujeres, Zoetry Villa Rolandi Isla Mujeres Cancun delivers a secluded honeymoon experience. 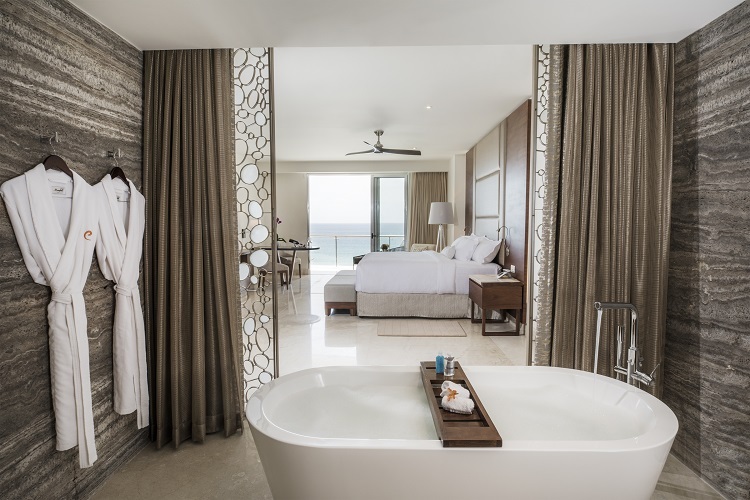 Relax in one of 35 oceanfront suites, where you’ll find a steam bath, a fully-stocked mini bar, and a private terrace boasting jaw-dropping views of the ocean. 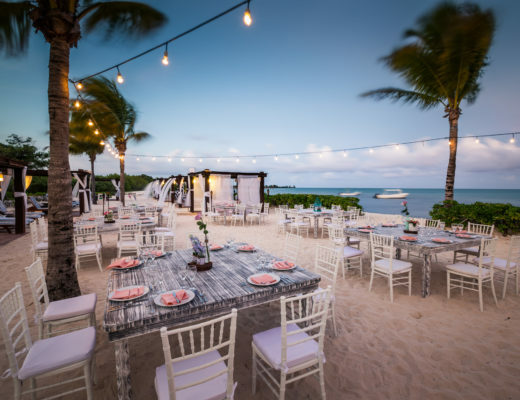 Whether you’re in your suite or walking along the secluded beach, you’ll enjoy a gorgeous view of the Isla Mujeres sunset every night of your honeymoon. Blending the best of local culture with all-inclusive sophistication, ME Cabo delivers chill vibes to the only swimmable beach in Los Cabos. 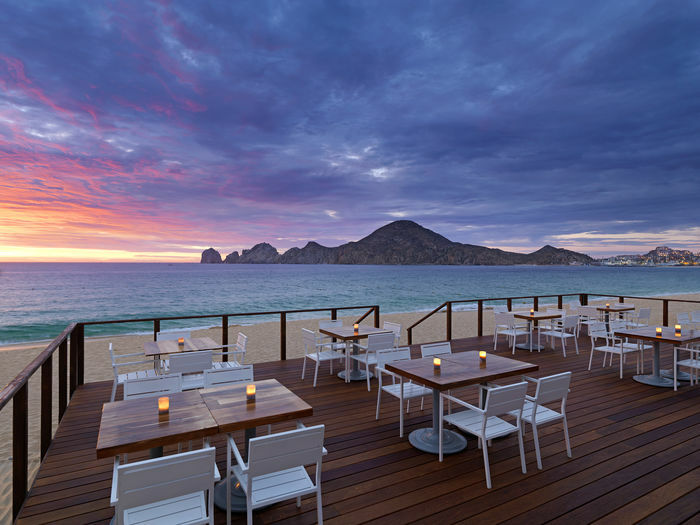 While you soak up the sun on your beach honeymoon, treat yourself to an order of fish tacos and look out onto your own view of the Arch of Cabo San Lucas. A relaxing stay in the Suite Me is perfect for any couple looking to turn up the romance. This suite comes with a private sun deck, lounge beds, a private whirlpool tub and an outdoor rain shower. Be sure to take advantage of every VIP amenity that comes with this jaw-dropping room! 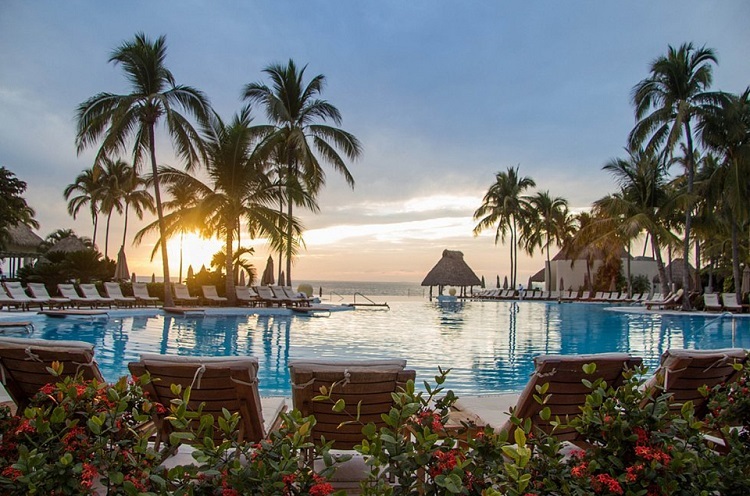 Mexico’s best all-inclusive honeymoon resorts offer romantic memories for you and your partner. 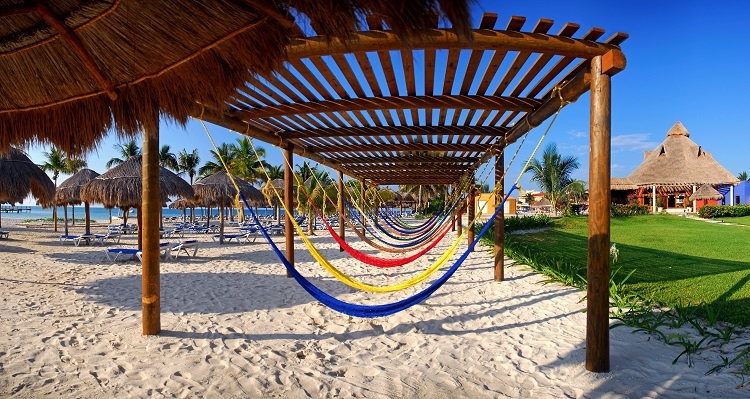 One day, you’ll look back and smile at your picture-perfect honeymoon in Mexico.